Everyones un-favorite “Dr.’s” offices along Ocean Front Walk were searched today and records were seized as state authorities check into compliance issues related to how they do business. This includes everything from employees to their finances. 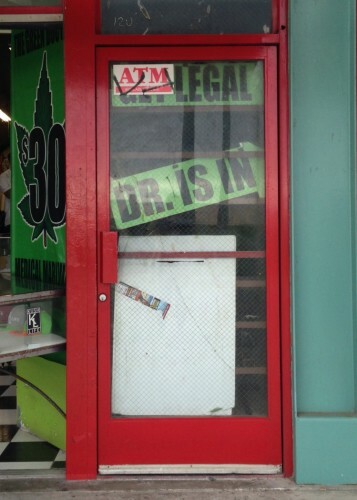 Only one of the locations operates in a space zoned properly for medical use, and the others just do whatever they want… because that is how these establishments seem to do business in Venice. No word on how long the locations will be closed… but enjoy it while it lasts. LAPD “assisted” with making entry just so nobody did anything foolish… not that such reputable establishments like these “Dr.’s” would ever do anything shady….